I’m beginning this Sunday, with what I hope will be a weekly event for me, until the end of the event on 21 June. I’ll be reading some of Hans Christian Andersen’s Fairy Tales – I first read a lot of the tales as a child. Andersen was a Danish author, born in 1805 in Odense. He was a prolific writer of plays, travelogues, novels, and poems, as well as fairy tales. Some of his most famous fairy tales include The Emperor’s New Clothes, The Little Mermaid, The Nightingale, The Snow Queen, The Ugly Duckling, Thumbelina, and many more. He died in 1875. I don’t remember reading this story before – and I think I would if I had read it, because it’s such a gruesome story. The Rose-Elf is very short and surprised me by the horror of the events it unfolds. He danced on the wings of butterflies, walked along the veins of leaves, which he looked upon as roads. But one day the weather grew cold and the leaves closed before he could get back inside the roses, so he flew to a honeysuckle for shelter and here he came across a pair of young lovers – a handsome young man and a charming girl. It’s at this point that the story moves from a cosy fairy tale that you would be happy to read to very small children into something dark and chilling. For the girl has a jealous, wicked brother who plots to get rid of the young man and kills him. The girl is heartbroken and the Rose-Elf who witnesses the murder of her lover, does what he can to help her but this is a tragedy. It’s not an ‘and they all lived happily ever after’ ending. The horror is not in the actual killing but in what happens to the corpse afterwards. I’m a bit late in joining in with Carl’s Once Upon a Time challenge this year! But as it doesn’t end until 21 June it’s not too late. Rule #4: Do not be put off by the word ‘challenge’. While this event retains the word ‘challenge’from its earliest days, the entire goal is to read good books, watch engaging television shows and films, play immersive games and most importantly, visit old friends and make new ones. There are several ways to participate – see Carl’s sign-up post. which involves the reading of one or more short stories that fit within at least one of these four genres: Fairy Tale, Folklore, Fantasy and Mythology, including the seemingly countless sub-genres and blending of genres that fall within this spectrum. I’m planning to read/re-read some of Hans Christian Andersen’s Fairy Tales from this old book, sadly now falling apart. It belonged to my mother when she was a child. I read some, but by no means all, of these stories when I was little and I’m looking forward to re-living the experience. I read Dreamwalker: The Ballad of Sir Benfro by James Oswald on my Kindle. It has since been published by Penguin as Dreamwalker by J D Oswald. So far there are three books in the series and there will eventually be five books published by Penguin. See James Oswald’s website for more information. 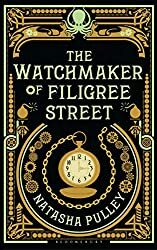 In a small village, miles from the great cities of the Twin Kingdoms, a young boy called Errol tries to find his way in the world. He’s an outsider – he looks different from other children and has never known his father. No one, not even himself, has any knowledge of his true lineage. Deep in the forest, Benfro, the young male dragon begins his training in the subtle arts. Like his mother, Morgwm the Green, he is destined to be a great Mage. No one could imagine that the future of all life in the Twin Kingdoms rests in the hands of these two unlikely heroes. I enjoyed this book, inspired by Welsh folklore. It’s very readable, each time I picked it up I just wanted to carry on reading this magical tale of the young dragon, Benfro and the young boy, Errol, born on the same day. I was drawn into their fantasy world. But I wasn’t prepared for the ending – when you get to the end of the book it is not the end – it’s only the end of the first instalment! The tension builds throughout the book as both Benfro and Errol approach their fourteenth birthdays, Benfro in the dragon community, learning their magical powers and Errol,growing up thinking his mother was the village healer and then taken from his home by Melyn, the Inquisitor to train to be one of the warrior priest. Then there is the wicked Princess Beaulah, who is keeping her father the king alive until she reaches her 21st birthday. And as the tension built I was eager to find out how it would end, only to be faced with the words ‘To be continued in The Ballad of Sir Benfro -Volume Two‘. I was so frustrated, as it just came to a full stop after a catastrophic event, that I couldn’t really believe had happened – a real cliff-hanger! I wish I’d realised before so that I’d been prepared – it was a complete let-down. So, if you are going to read it be warned! Dreamwalker is followed by The Rose Cord and The Golden Cage. J. D. Oswald is also the author of the Detective Inspector McLean series of crime novels under the name James Oswald. In his spare time James runs a 350-acre livestock farm in North East Fife, where he raises pedigree Highland Cattle and New Zealand Romney Sheep. Read more about Dreamwalker on the Penguin website. 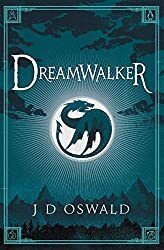 Reading Challenges – Dreamwalker is the perfect choice for Once Upon a Time IX. As it’s been on my Kindle since 2012 it’s also perfect for the Mount To Be Read Challenge and as James Oswald lives in Scotland it fits into the Read Scotland Challenge too.